Prince Harry and Meghan Markle have announced their engagement. The two posed for photographs outside Kensington Palace in London this morning, where Meghan showed off her gold engagement ring, which holds a large Botswana diamond in the center of the ring. Designed by Harry, the ring also features two smaller diamonds that belonged to his mother, Diana. In a tweet from Clarence House, the official Twitter account of Harry’s father, Prince Charles, the royal family confirmed that the couple had gotten engaged earlier this month and will wed sometime this spring. 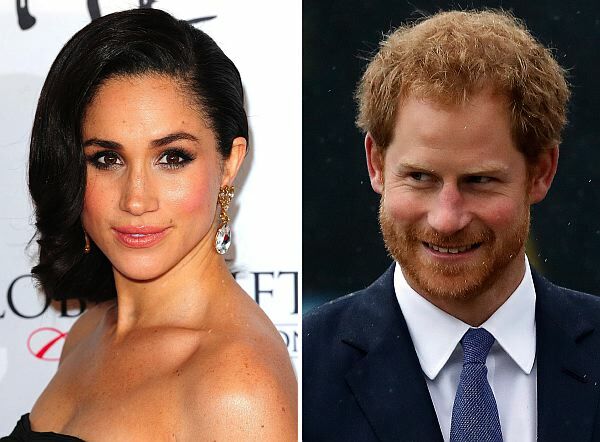 The couple met in London in the summer of 2016 and rumors of their possible engagement started swirling when Meghan shut down her lifestyle blog in April and ended her role as a brand ambassador for Reitmans. Adding fuel to the fire, it was rumored a few days ago that Meghan was leaving her long-running role on the show Suits, after movers were spotted at her Toronto home last Tuesday, packing boxes into a truck. It has since been confirmed that she has moved to London. Botswana diamond? It’s not a blood diamond is it? She was living in Canada, and Harry is there often enough (ie: Invictus games), why not get her a Canadian arctic diamond? Meh, anyway, hope it works out. who cares who they marry …. Make your own money ! stop Leaching off the People ! this wont last 2 yrs ! it’s Another Prince Andrew Farce !